This summer of 2017 got a chance to spent a couple of days in big apple, NYC. The pictures below from Times Square in evening and view of skyline from NJ makes it a great comeback to remember the awesome trip in 2009. 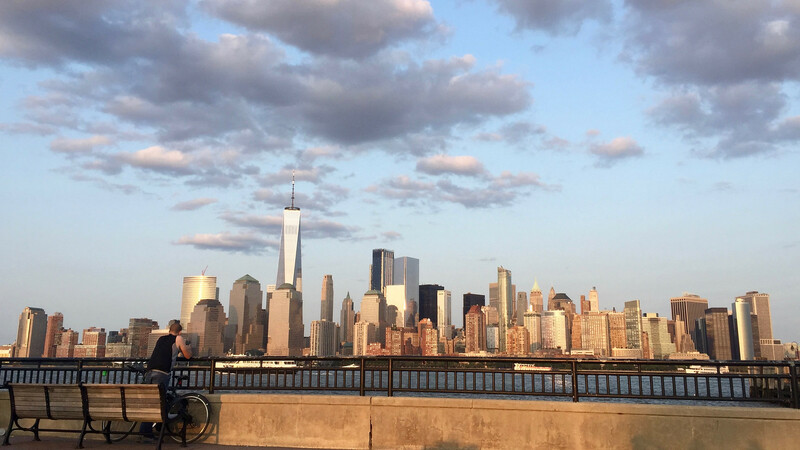 We decided to go to NYC for a weekend trip on the Independence Day long weekend. Susmita was not sure whether i can make the 14 hours non stop drive from chicago to NY on a day and then see the city for next two days and come back driving 850 miles after that non stop. But believe it or not. We made it. We left Chicago on thursday early morning at 5.00 AM Central Time. Crossed the windy city by 6. 00 AM to enter Indiana also called Prairie State. We drove 150 miles to cross Indiana and enter Ohio the Buckeye State. We zoomed the I 80/90 at around 80 mph to 90 mph all time to finally reach youngstown for lunch at iron skillet. The menu was a heavy cheese omelette with swiss breads, chicken ribs and french fries topped with chili sauce. After filling the tummy it was time to start again. By 5.30 PM we crossed Pennsylvania, New Jersey and finally reached the shores of Hudson river at George Washington Bridge and the city traffic. The final 20 miles of our trip took approximately 1 1/2 hours to complete in the NYC traffic and heavy rain and water logging in some streets. Some streets had like 2 feet of water. Our hotel in Brooklyn not only was located above the subway station, but also had free parking ( something you cannot think in NYC). Our room was on the 3rd floor with a view of downtown manhattan. We could see the first glimpse of NYC with Empire State shinning at a distance. I got a quick shower and decided to go to brooklyn bridge and fulton state park in brooklyn for a night view of the city and the famed bridge. we reached the bridge at 9 PM but, we never felt like it was night. the crowd was amazing which you cannot imagine in Chicago. 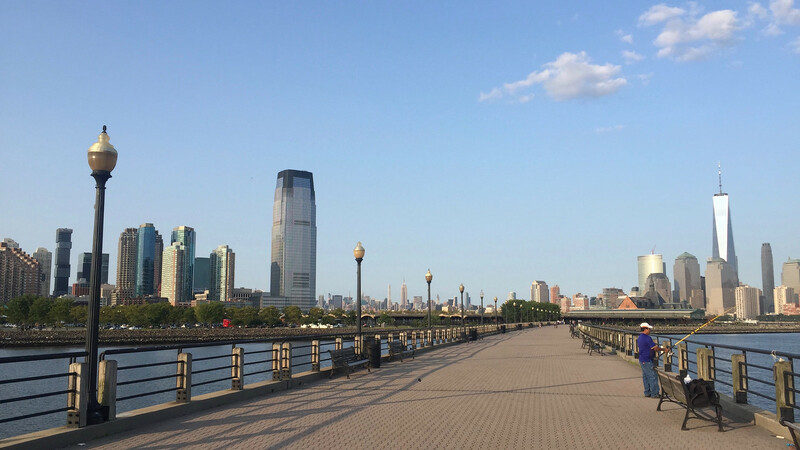 We took a stroll across the bridge enjoying the view of the NYC. The feeling was totally different. The city looked so different without the WTC in the skyline. We saw some old pictures before 9/11 and things felt so differentWe called of the hectic day with a quick pizza at domino’s. Finally time has come for a good night sleep. We quickly grabbed our breakfast in our hotel. We decided to get the one day metro fun pass for easy maneuver across the city. The metro looked so similar to kolkata metro, only difference is that NYC Subway had 468 stations and more levels underground than any other metro in any other country. Our first destination is The statue of Liberty and we reached the Bowling Green Subway station by 10.00. Located on a 12 acre island, the Statue of Liberty Enlightening the World was a gift of friendship from the people of France to the people of the United States and is a universal symbol of freedom and democracy. The Statue of Liberty was dedicated on October 28, 1886, designated as a National Monument in 1924 and restored for her centennial on July 4, 1986. It symbolizes the freedom of USA and immigrants coming to USA by boat used to scream when they can see the light of the torch in the horizon and their heart filled with joy. We enjoyed the ferry to Ellis Island from downtown and also back. After reaching the downtown again we decided to have lunch as it was already 12. 30 PM. We enjoyed authentic chinese chinese cuisine in the downtown. Oh.. i forgot to say, we grabbed a couple of I Love NY polo T’s for our next day for $ 2.5 each. We walked to the bronze bull which was just few steps away from the bowling green subway and our restaurant. We took a couple of quick snaps and walked the famed (pun intended after last years financial debacle) Wall Street and NYSE. The New York Stock Exchange is a stock exchange located at 11 Wall Street in lower Manhattan, New York City, New York, USA. It is the largest stock exchange in the world by United States dollar value of its listed companies’ securities. We also visited the Federal Hall which stands just across the street from NYSE. Walking a block north from NYSE to reach the Ground Zero. We paid homage at WTC site and moved northwards. We walked for a couple of hundred feet to reach City Hall and Brooklyn Bridge. New York City Hall is located at the center of City Hall Park in the Civic Center section of Lower Manhattan between Broadway, Park Row and Chambers Street. The building itself is the oldest City Hall in the United States that still houses its original governmental functions, such as the office of the Mayor of New York City and the chambers of the New York City Council. Constructed from 1803 to 1812, New York City Hall is a National Historic Landmark and is listed on the National Register of Historic Places. Its rotunda is a designated interior New York City landmark. The Brooklyn Bridge, one of the oldest suspension bridges in the United States, stretches 5,989 feet (1825 m) over the East River, connecting the New York City boroughs of Manhattan and Brooklyn (on Long Island). Upon completion, it was the longest suspension bridge in the world, the first steel-wire suspension bridge, and the first bridge to connect to Long Island. Originally referred to as the New York and Brooklyn Bridge, it was dubbed the Brooklyn Bridge in an 1867 letter to the editor of the Brooklyn Daily Eagle, and formally so named by the city government in 1915. Since its opening, it has become an iconic part of the New York skyline. It was designated a National Historic Landmark in 1964. 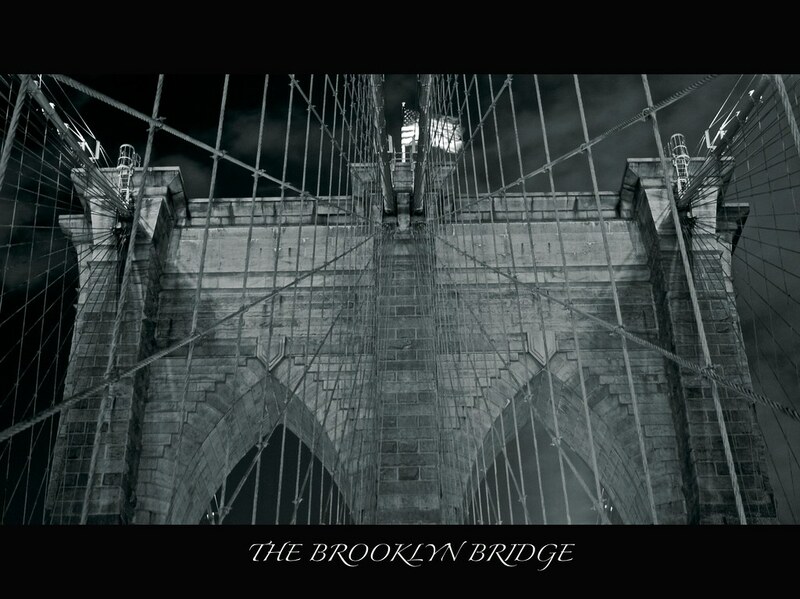 The bridge became famous in India courtesy SRK in Kal Ho Na Ho. By this time we are almost exhausted. We took some energy drink from a roadside vendor and rejuvenated ourselves. We decided to take the subway now after a long walking in the financial district to reach the flatiron district. The subway took us to the flatiron district within 5 minutes. The Flatiron Building, or Fuller Building as it was originally called, is located at 175 Fifth Avenue in the borough of Manhattan, and is considered to be one of the first skyscrapers ever built. Upon completion in 1902 it was one of the tallest buildings in New York City. The building sits on a triangular island block at 23rd Street, Fifth Avenue, and Broadway, anchoring the south (downtown) end of Madison Square. The neighborhood around the building is called the Flatiron District after its signature building. We rested our legs for an hour at the neighboring madison square park. Now its time for NYC the most fashion capital of America and we went to the place where TLC series ” What not to wear” shoots . There is the huge MACY’s store and all other stores you have seen any where. 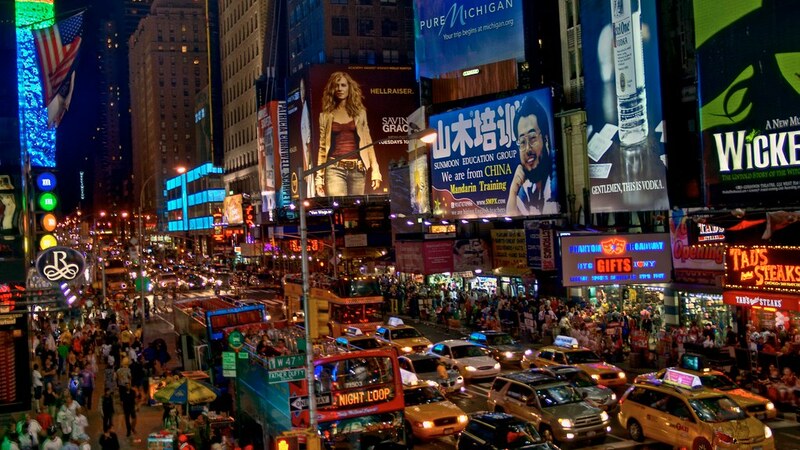 We walked the 34th street among the best known brands in this planet to reach The Empire State Building, tallest in NY. The Empire State Building is a 102-story Art Deco skyscraper in New York City at the intersection of Fifth Avenue and West 34th Street. Its name is derived from the nickname for the state of New York. It stood as the world’s tallest building for more than forty years, from its completion in 1931 until construction of the World Trade Center’s North Tower was completed in 1972. Historians say that probably no other building can break Empire State’s record of tallest building for maximum years. Doesn’t the day seem too long to you people. Yes the City has so many things to see and so easily. 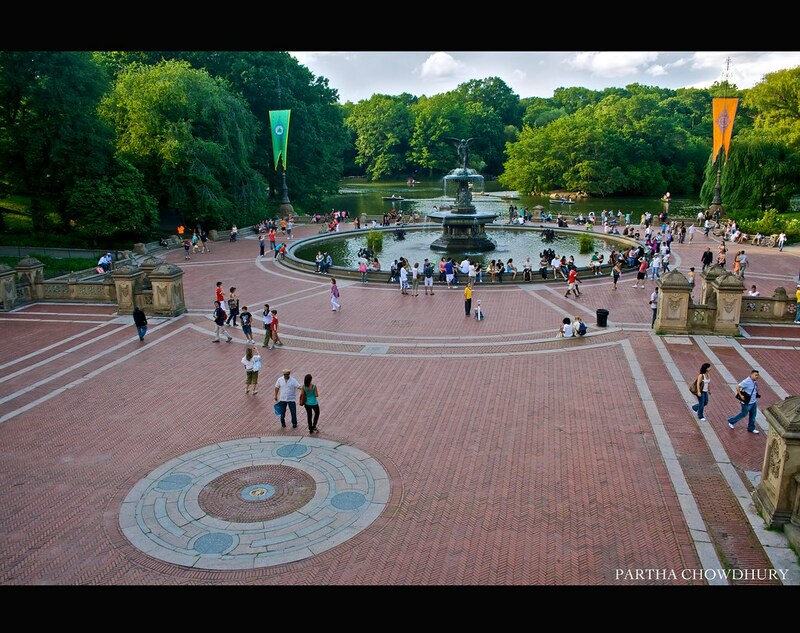 We decide to leave the concrete jungle and go to central park for the evening. We again took the trusted subway which runs for 24×7. We walked through green lawns, woods, lakes to reach the Bethesda Terrace in the heart of the park. The place seemed so different but just stone throw away from the bustling city of NY. Time for dinner. No place better than Indian Cuisine at NYC. Then again the subway to Timeless Times Square. 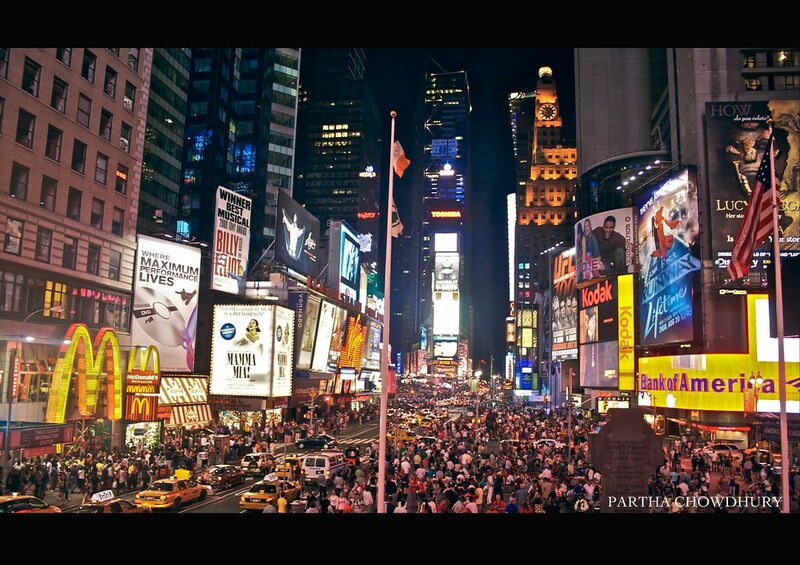 Walking up the subway to the broadway changes the whole world, when you see the Times Square for first time in life. You have to see it to believe. We spent almost 2 hours in the place and just doing nothing. Then at around 12 Midnight we decided to call it a day. Good Morning NYC. We decided to take a subway to Fulton State Park for photoshoot with the Brooklyn Bridge just like the movie Janeman by Sallu, Akki and Preity Zinta. 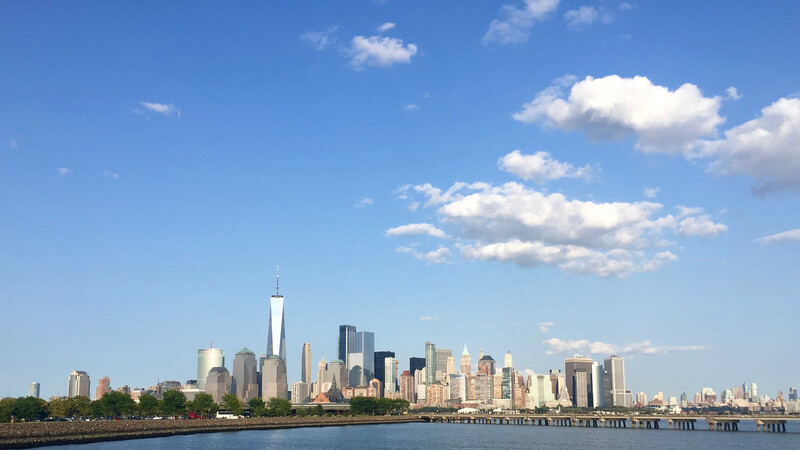 After that we took the free governor ferry to governors island while enjoying the skyline view from ferry. 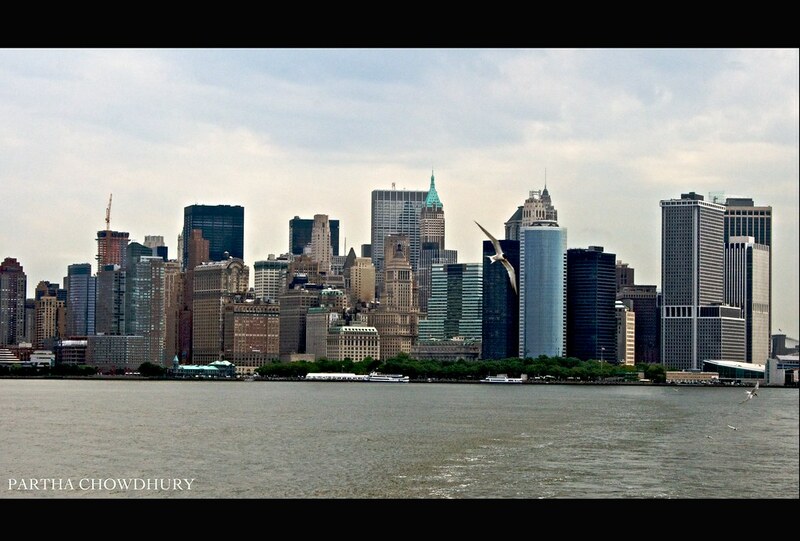 We took a different ferry from governors island to Manhattan, this too was free. We took the subway to Grand Central Station to see the grand station. After that we walked to Rockefeller Center and then Radio City Music Hall. LOVE is a pop art sculpture by Robert Indiana. We took some snaps with this sculpture. After that we saw the apple store at big apple and went straight to lunch. We visited Times Square again and sat there for a hour. Then we walked to Hudson river front for the 4th July fireworks. there was huge crowd. First we could not get into it for half hour but finally made it. After the awesome fireworks we went back to our hotel, while experiencing the famous NYC subway rush. No Plans. Had breakfast at our hotel. then checked out. Drove through Brooklyn Bridge, NYC streets, Hudson Tunnel, and through NJ, Pennsylvania, Ohio, Indiana and Illinois for 850 miles to reach home at 9 PM. 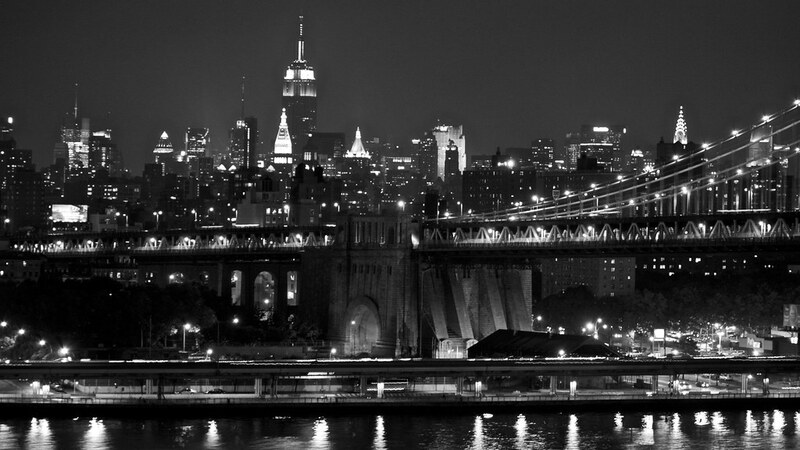 Time to go to sleep with good dreams from NYC.